Socrates was the wisest person in Greece. He claimed to know nothing. But he knew the power of questions. Whether you're meeting with clients, coaching employees, or teaching philosophy in the streets of Athens, smart questions work. This program is for you if you'd like to . . .
- Multiply your learning power & master new jobs & assignments faster. - Spark more innovative thinking, instead of getting stuck in daily routines and tired assumptions. - Develop your staff to take more initiative & solve more problems; their productivity goes up, your stress goes down. - Avoid making bad decisions, like hiring the wrong people. - Get buy-in from clients & colleagues without being pushy. - Run more dynamic meetings that fully engage others. - Be recognized as a top performer who boosts the IQ of everyone around you. The problem: asking smart questions is not common practice. It requires awareness & practice. That's the purpose of our program. - Best practices for asking questions–what to do; what to avoid. - 7 different types of questions & why it's important to know the difference. About the speaker: Since graduating Sloan, Paul Hellman has worked with thousands of executives & managers at leading Fortune 500 companies. This is his 2nd appearance at M.I.T. Paul's focus: Executive Communication Skills–how to capture attention & influence others with dynamic messages. His company, Express Potential® (www.expresspotential.com) offers corporate workshops, webinars & keynotes internationally. View Paul's quick video tip on questions. 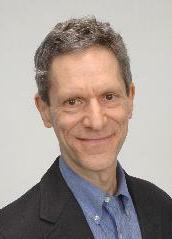 Paul’s columns have appeared in The New York Times, Wall Street Journal, Washington Post, and on public radio and TV. Latest book: “Naked at Work." CNBC.com runs his twice/monthly fast tips. So does boston.com (Boston Globe online).